It’s well known that lighting affects your mood. Now, GE is launching a new line of connected LED lightbulbs aimed at healthy living. The new line, C by GE, works without a hub and automatically changes the temperature of the light based on time of day. The C by GE connected bulbs come in two flavors: Life and Sleep. The Life bulbs are optimized for every day tasks, while the Sleep bulbs come with three distinct settings—morning, midday, and evening—designed to correspond with your natural circadian rhythm. The Sleep bulbs are specifically tuned to help regulate your body’s production of melatonin, a naturally occurring hormone that tells your body when you’re ready to go to sleep. It’s unclear whether the new Life and Sleep bulbs will make you healthier, though we hope to test them out to see. However, it’s a scientific fact that light affects melatonin production. The convenience of a connected LED lightbulb that communicates with your phone over Bluetooth is inevitably appealing, and like the GE Link bulbs before it, the price is right for the C by GE line. 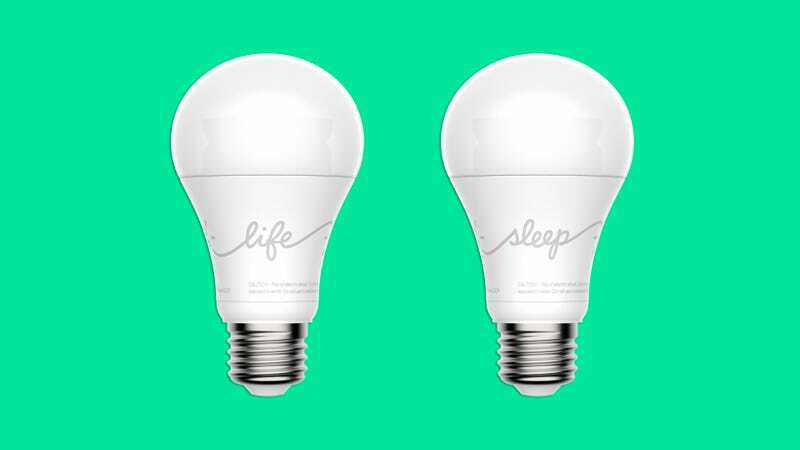 A starter pack with two Life and two Sleep bulbs costs just $50 and lasts 20 years. GE will be selling the bulbs directly through a new website starting January 2016.